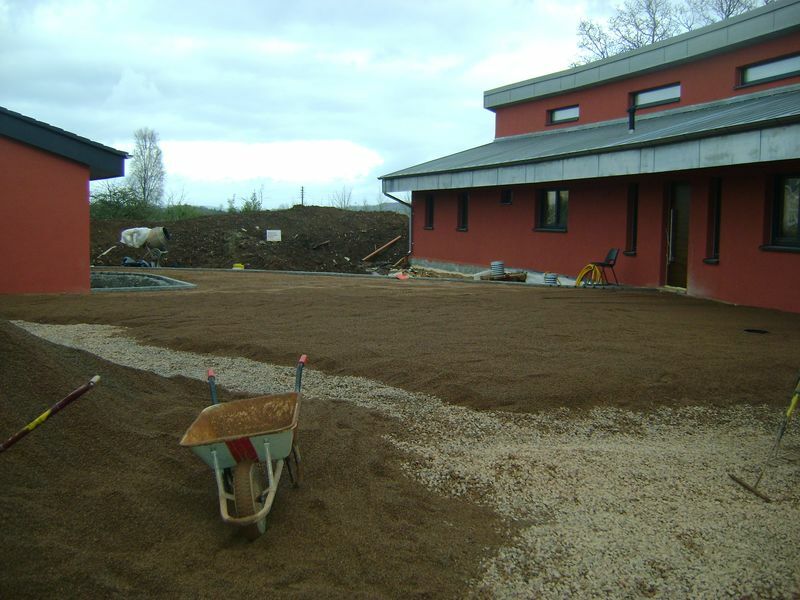 A sustainable urban drainage system (SUDS) is designed to reduce the potential impact of new and existing developments with respect to surface water drainage discharges. Increasing urbanisation has caused problems with increased flash flooding after sudden rain. As areas of vegetation are replaced by impermeable concrete, tarmac or roofed areas the area loses its ability to absorb rainwater. 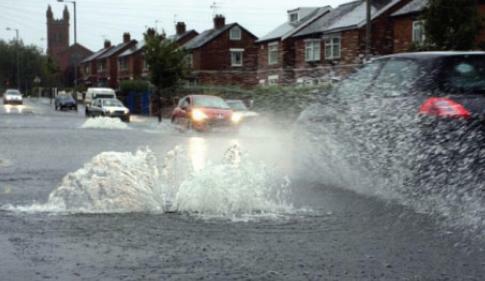 This rain is instead directed into surface water drainage systems, often overloading them and causing floods. 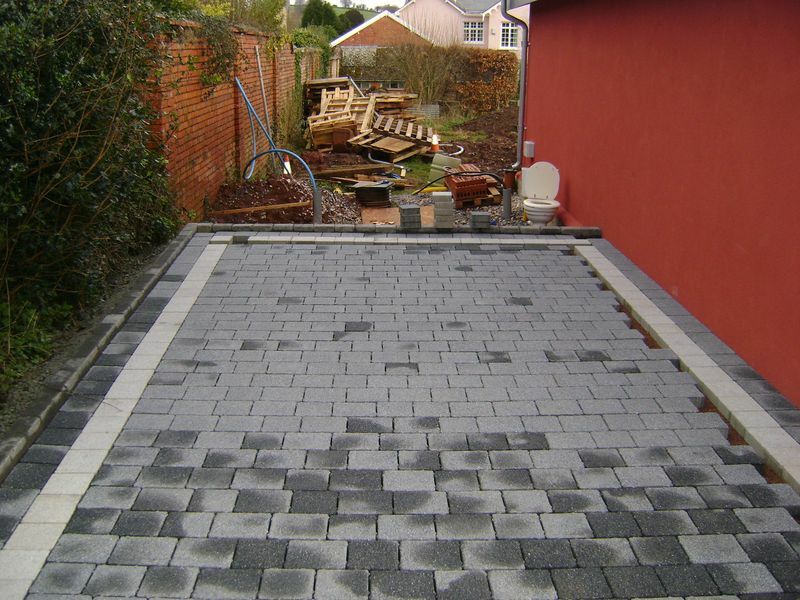 As urban and industrial areas throughout the country have continued to expand, the total area of impermeable surfaces such as roofs, roads, pavements and car parks has increased. This means that rainfall cannot infiltrate naturally into the ground and puts our already overloaded drainage systems to an even greater test. Rainwater which could normally recharge groundwater or wetlands is now washed directly into water courses via convectional drainage systems. With global warming leading to increased levels of rainfall, our ageing drainage systems are no longer able to cope with high volumes of storm water run off. This leads to flash flooding and increased pollution. 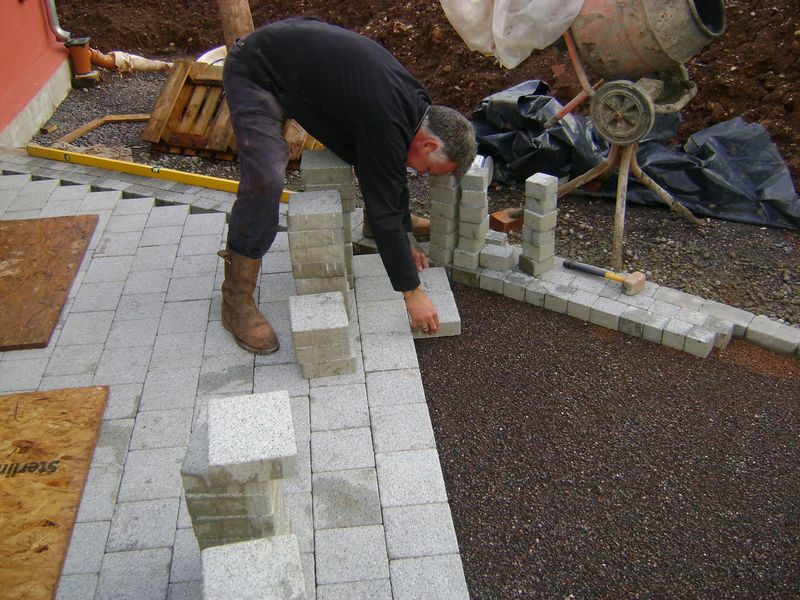 Our continued daily blog will give you an insight to permeable pavings, suds and a full installation guide. 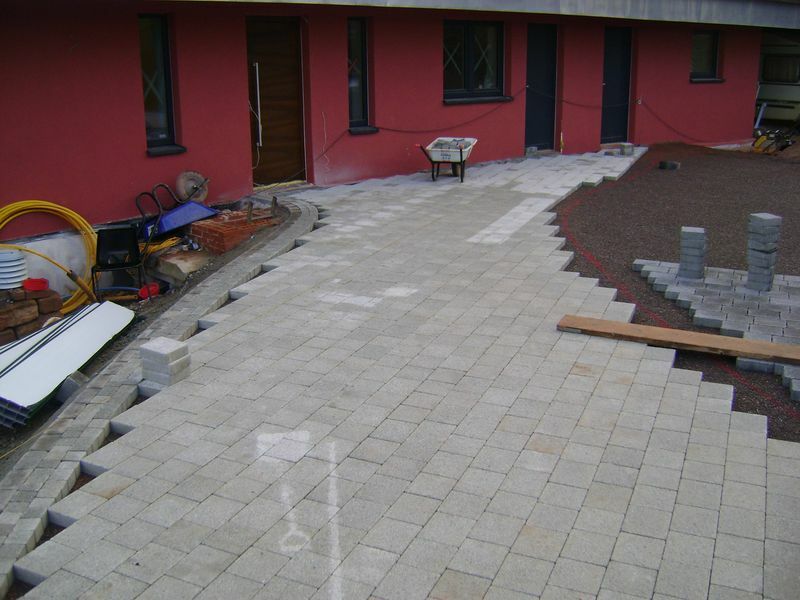 THIS PROJECT IS UNDER PERMEABLE DRIVEWAY CONSTRUCTION, CLICK HERE TO VIEW DAY 3-6 IMAGES. 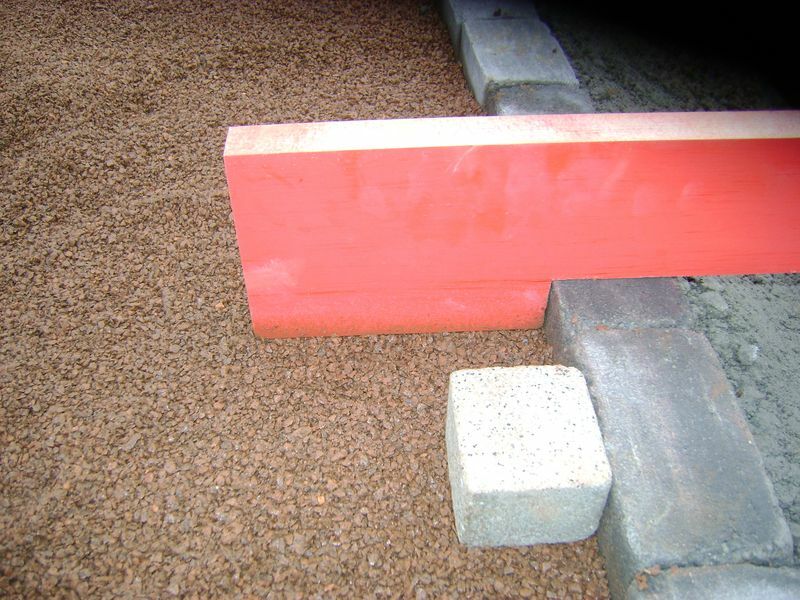 The edging template is cut from a block of timber and set to 8mm higher than the finished level, this will consolidate to the correct level with a rubber plated wacker once the project is installed and cut. 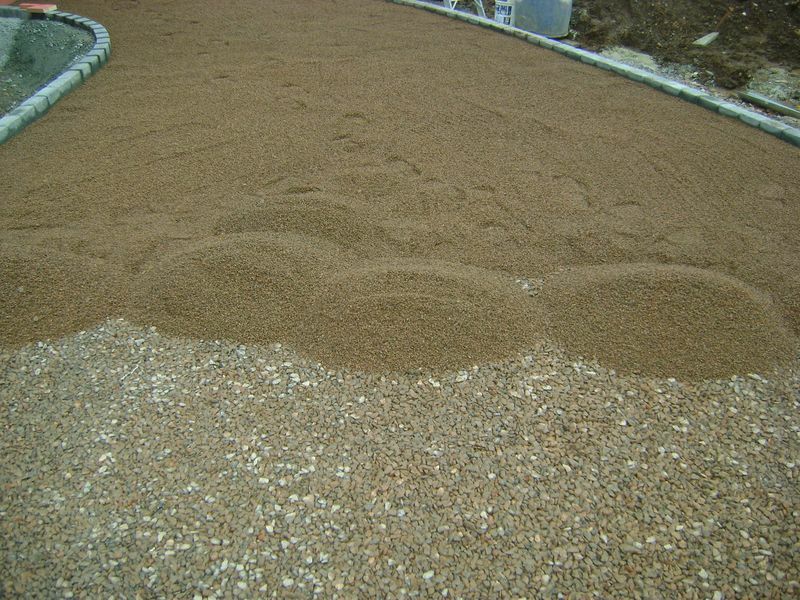 The 3mm stone is barrowed into position, I wont use the mini digger or loading bucket as these heavy tools will churn up the compressed 20mm stone. 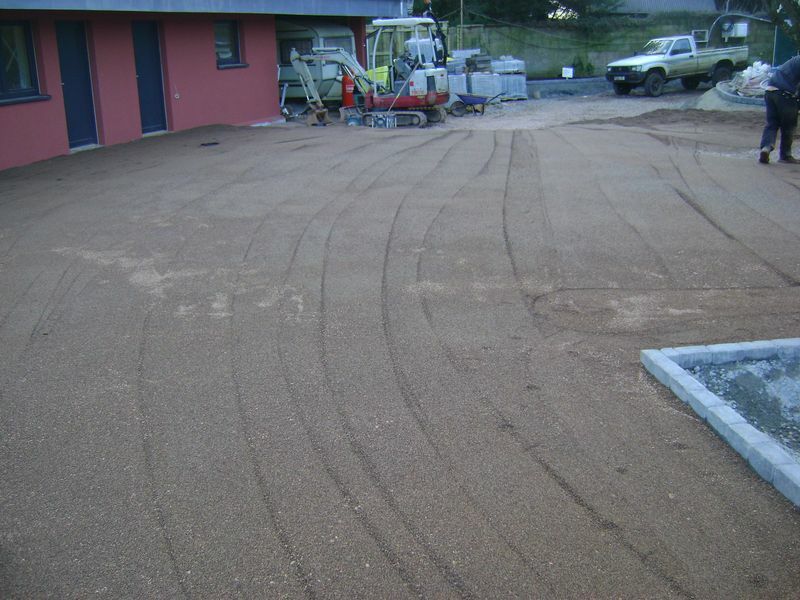 16 tons of 6mm screeding stone is leveled and raked to the correct heights, 16 tons to go for the day. All perimeters are consolidated with the wacker, the zinc soffit over hang to the buildings wont allow the bomag roller with the roll bar to get close enough. 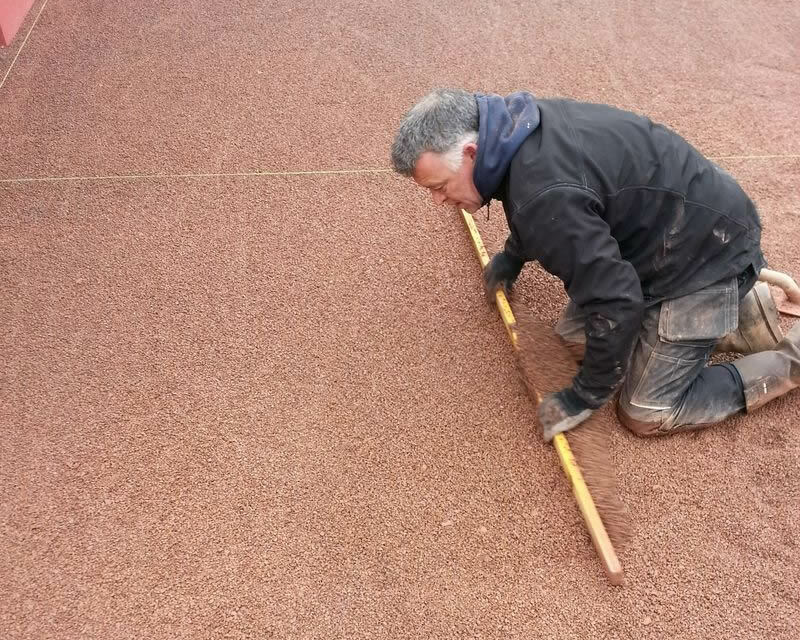 The roller is passed over the leveled 6mm, My next stage is to level the perimeters with the edging template and then screed the entire surface with a four foot spirit level…… by eye!!. 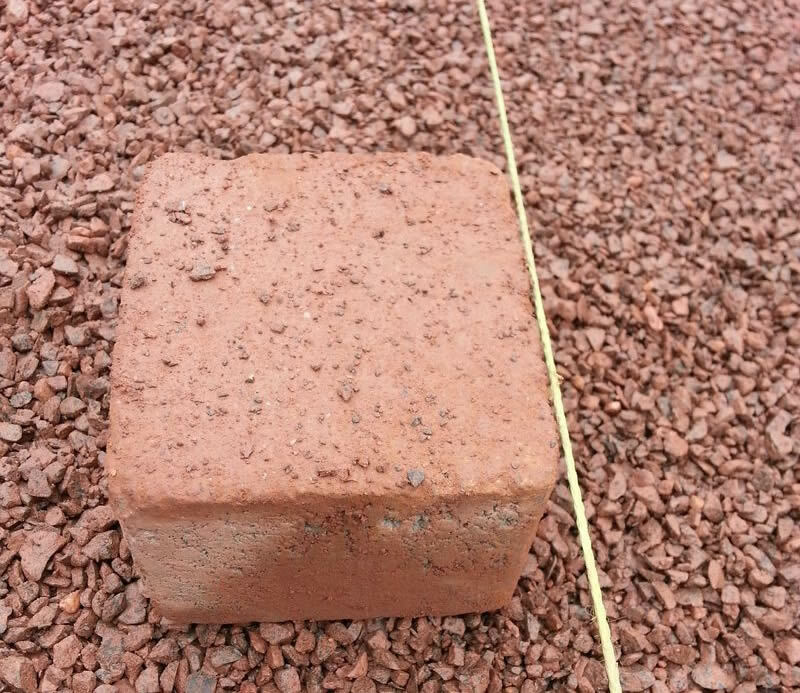 Below each individual line I float the 6mm clean stone with a plastic float and use the smallest 60mm thick block as a constant guide… I undertake this procedure along the length of every perimeter and blow each string line…. I now have levels to work with. 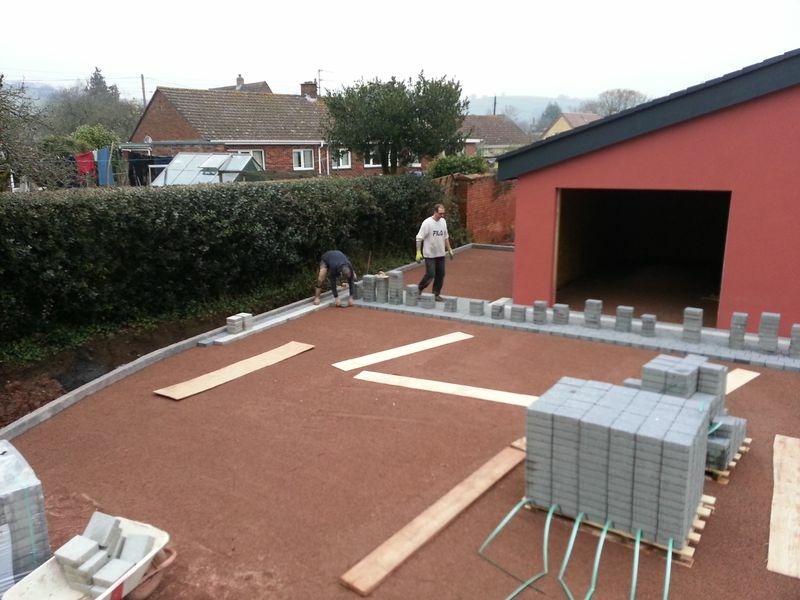 Now I see my levels each side of the stringlines, approx 3.5m apart, I use my trusted spirit level and “my eye for a level” to screed the entire surface…. 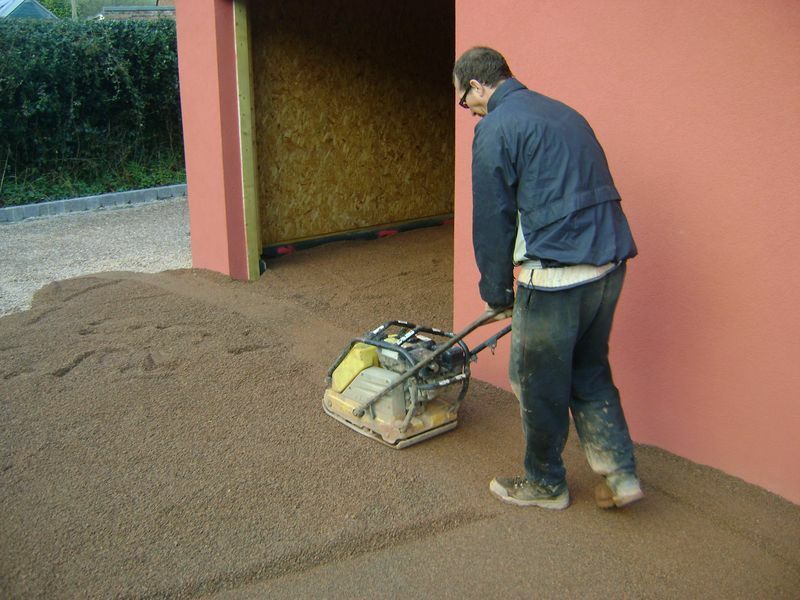 Once the entire surface has been screeded the manitou loads out the permeable block paving…. this is not a conventional installation as I’m back tracking on myself….. I must install in this fashion as my line of lay comes directly off the garage / office. 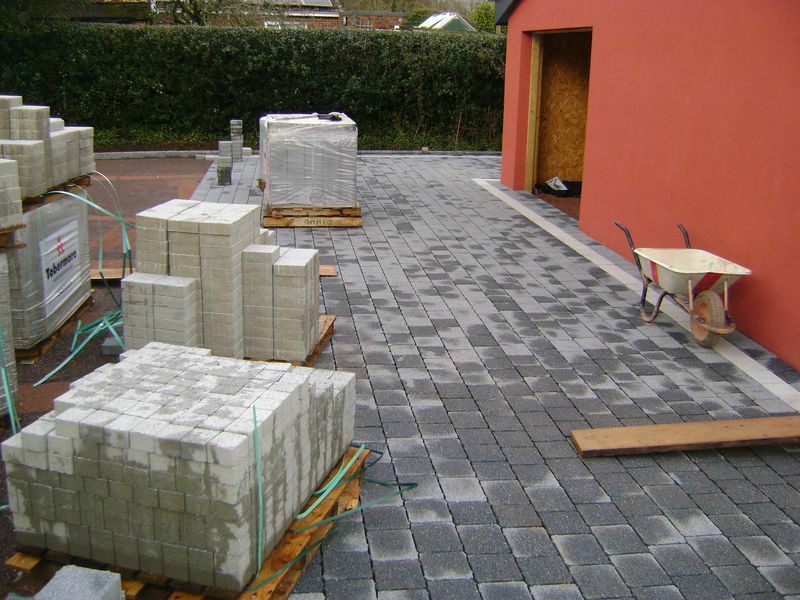 Another image of the Sienna Silver standard block paving footpath, just the cutting in to do and application of kiln dried sand. 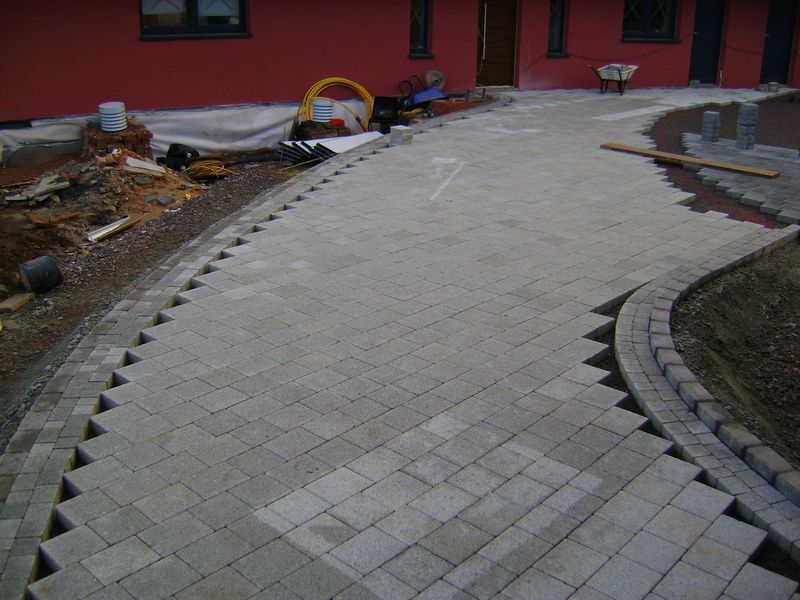 Permeable block paving main lay, with Sienna silver header course to the entire perimeter and a ninety degree lay of Sienna graphite hydropave as the main surface area.